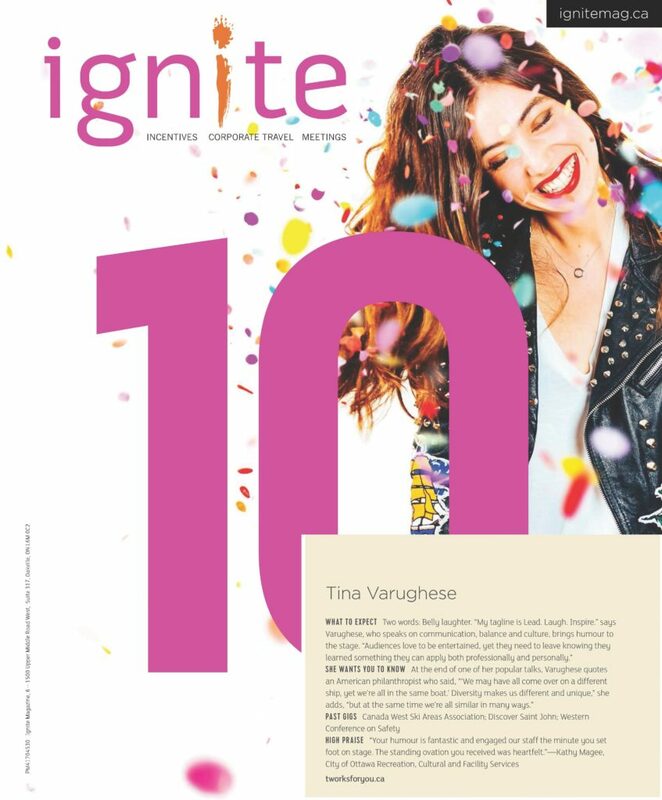 Named one of Canada’s 10 Notable Speakers by Ignite Magazine, audiences describe Tina as ‘dynamic, highly energetic, relevant and hilarious’. She consistently rates as the ‘the best speaker of the conference’. Her interactive approach is insightful yet practical and her delivery is highly entertaining. She breaks down barriers to create a comfortable, inclusive and fun space leaving attendees inspired to think, behave, act or communicate with intention. 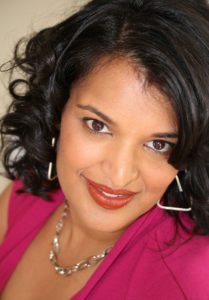 Tina is an Indo-Canadian daughter of first generation East Indian parents, which allows her to find ‘the best of both worlds’ and shed light, knowledge and most importantly universal humour into the intercultural workplace. She draws from her experiences as an entrepreneur, mother, daughter, wife, sister and friend when delivering keynotes on work-life balance and diversity and inclusion-topics which resonate with her both professionally and personally. For fifteen years Tina Varughese, B.A. ; B.Comm, worked with immigrants in her roles with the Province of Alberta’s immigration office as well as running her own successful relocation and settlement firm. She is currently the immediate Past-President of the Canadian Association of Professional Speakers (Calgary). Tina is a contributing writer for the Human Resource Institute of Alberta’s Network magazine, Calgary Real Estate News, Home to Home magazine and was profiled in Alberta’s Venture Magazine. Tina has been the face of diversity, literally, when she was chosen to be in Dove’s Campaign for Real Beauty representing beauty in diversity. With two kids, five fish and one husband, she resides in Calgary where she recently began hip hop classes.